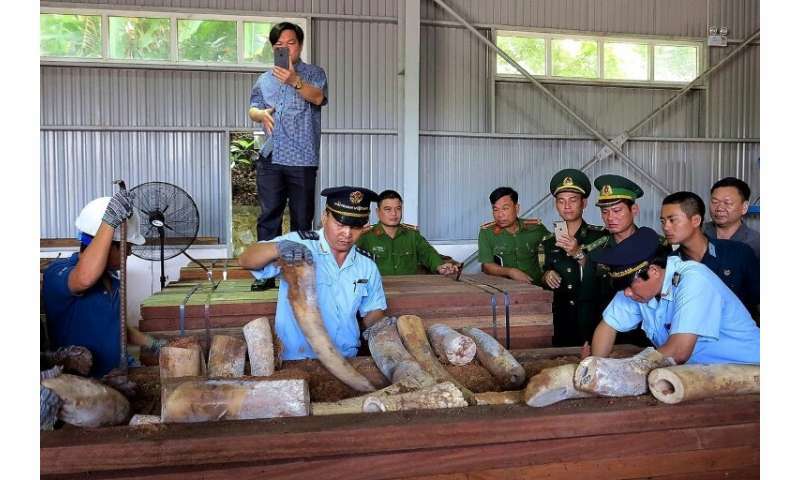 "A huge 9.1-tonne (20,000-pound) package of goods suspected to be ivory hidden inside timber logs was found and confiscated," according to Hai Quan news site, the official mouthpiece of Vietnam Customs. The ivory-stuffed timber logs were discovered Tuesday at Danang's main port on a ship from the Republic of Congo in central Africa, it added. A customs official told AFP "authorities are still inspecting before making a final conclusion" about the substance. Britain's Prince William was in Vietnam in 2016 to host a wildlife conference where he delivered an urgent plea to end trafficking to save critically endangered species.